Note: Most of our customers obtain their crates from local bike shops. The cost of the crate generally depends on who you are dealing with, so it’s best to check around. · The bike must be drained of all fuel. · Always label the shipping crate with all the contact information for the shipper and receiver. 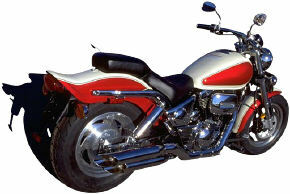 CLICK ON THE LINK BELOW OR CALL 800-363-9621 TO RECEIVE A FREE FREIGHT QUOTE FOR MOTORCYCLE SHIPPING!